MONCTON N.B. 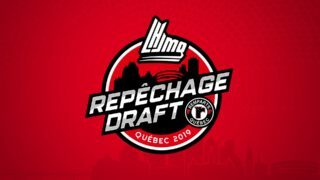 – The Moncton Wildcats announced this morning the trade of defenceman Jacob Arsenault to the Sherbrooke Phoenix, in exchange for a 7th round pick in the 2019 QMJHL Entry Draft. 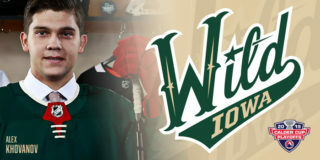 Jacob joined the Wildcats last season after previously playing in the Saskatchewan Junior Hockey League with the Notre Dame Hounds. 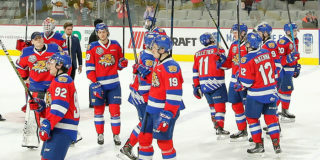 During the 2017-2018 season Arsenault suited up for 60 games in a Wildcats uniform, as well as 8 playoff games. The 19-year-old from Richmond PEI will now join the Sherbrooke Phoenix. “We would like to thank Jacob for his time here with the Wildcats, and wish him all the best during the upcoming season with the Phoenix” said Ritchie Thibeau, Director of Hockey Operations. 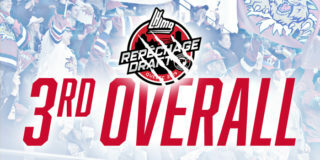 The following players were reassigned on Monday: Stephen Fox and Jacob Levesque. 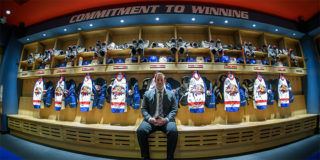 With the training camp roster starting to slim down, the team now prepares to head to Kitchener Ontario for a pre-season showcase with three OHL teams – the Kitchener Rangers, North Bay Battalion and the Saginaw Spirit. For full coverage on the event follow the Wildcats social media platforms and website.